Arizona Commercial Signs is a full-service sign company located in the heart of Arizona in the Phoenix Valley. For more than a decade our company has been the leader in the sign fabrication industry. We continue to raise the bar and set higher standards for signs in the Valley of the Sun. We are expert sign designers, builders, fabricators, and installers which always take great pride in our work and customer service. We combine our experience with the values of craftsmanship and technological expertise to deliver the finest design, quality fabrication, installation and maintenance to our customers. 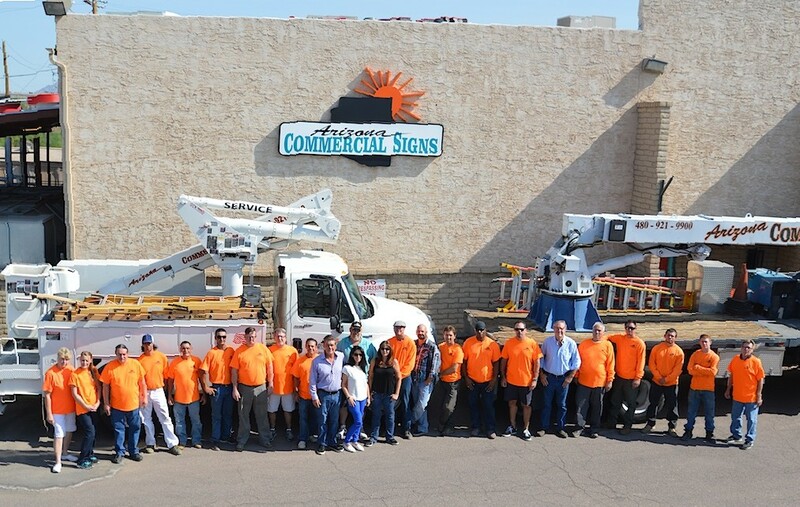 Arizona Commercial Signs will build any signage systems needed to meet all your requirements, install it, and take care of your signs regardless of if we installed them or not. If you’re interested in a new sign for your business, we can help. Receive a free quote or ask questions about sign design, fabrication, or installation in Phoenix, please give Arizona Commercial Signs a call today at 480-921-9900.